The NBA finally returned last Tuesday — after a typically frantic offseason full of high-profile trades. LeBron James joined the Los Angeles Lakers, and the Toronto Raptors traded DeMar DeRozan to the San Antonio Spurs in return for Kawhi Leonard and Danny Green. Paul George stayed in Oklahoma despite links to the Lakers, and DeMarcus Cousins signed with Golden State in free agency. Unlike George, then Thunder teammate Carmelo Anthony moved to Houston to join the Rockets. Although most teams haven’t even played four games, the winners and losers of those trades are starting to become more apparent. LeBron still needs time to gel with his teammates, but it is already clear that the Cavaliers are rudderless without him. It was obvious the Cavs were heavily reliant on him last season — not just on offense, but on defense too — and those judgements have only been confirmed by Cleveland’s performances this season. They have given up 116, 131, 133 points in their three games so far — and they aren’t doing great offensively either. According to Tom Withers of NBA.com, “[Cleveland are] pinning most of [their] hopes on Kevin Love, who signed a four-year, $120 million contract extension this summer.” It is unclear whether Love can shoulder all the responsibility that LeBron did in his two spells with the Cavs. Love lamented to Cleveland.com about the team’s performance against the Hawks at Quicken Loans Arena. Love didn’t mince his words. “The last three quarters were pretty damn alarming. Opening Night at home we expect to play better. We expect to play better in front of our home crowd. I don’t know if alarming is the right word but it sure sounds right, just with our effort level. Our effort level wasn’t there, especially defending the three-point line. They were just gunning and we weren’t getting into them, we weren’t physical.” LeBron’s departure means Love needs to take on a bigger leadership role — he, along with other veterans like Tristan Thompson, have to make sure that the team elevates their game and plays harder in the future. The Raptors-Spurs trade is a balanced one that is too early to call. DeRozan and Leonard both performed well for their previous teams, but Leonard wanted a move following a long injury layoff, and he got it, switching San Antonio for Toronto. Danny Green was a solid pickup for the Raptors too. On the other hand, DeRozan was happy to stay up north — perhaps the Raptors felt they needed to make a change after yet another season of playoff capitulation. They also parted ways with previous coach Dwayne Casey. Even though he won Coach of the Year for the Raptors’ strong showing in the 2017-2018 regular season — they topped the East standings — the sweep by the Cavaliers in the East Semifinals cost him his job. Nick Nurse, his assistant since 2013, is now head coach. 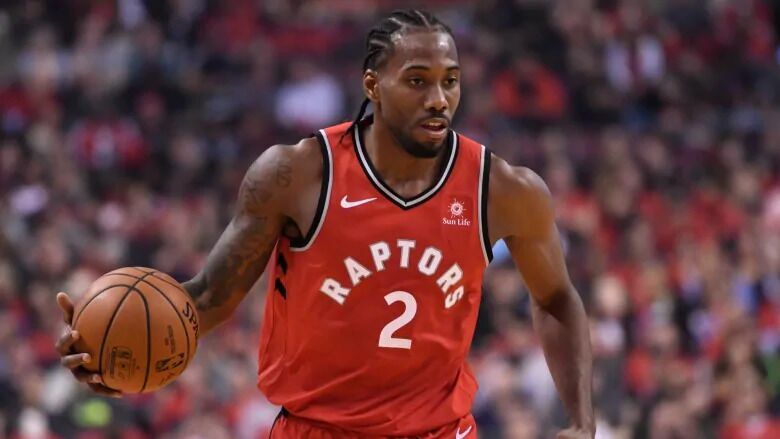 Leonard already looks to be at home in Toronto, having lead them to an early 4-0 record in the East. DeRozan has started strongly too, averaging 29 points and nine assists in his first three games for the Spurs, helping them to a solid 2-1 record alongside star big man LaMarcus Aldridge. Paul George was tipped to join the Lakers this offseason, but LeBron went to LA instead, meaning George stayed with the Thunder. While solid defensively, George struggled with his shooting at times last season, and those struggles have continued. In three games this season, he has only shot 38.2 percent from the field, and 31.3 percent from behind the arc. Those figures must improve if Oklahoma City are to be less reliant on Russell Westbrook’s scoring production. This is especially true now that Anthony has left, even though he too was disappointing in his single year with the Thunder. DeMarcus Cousins is yet to play a single minute for the Warriors due to a long-term injury to his left Achilles tendon. That is the part of the reason why the move came as such a surprise to many in the NBA. However, the Warriors have told ESPN he is making “good progress in his rehab.” Speaking before Golden State’s game Monday night versus the Phoenix Suns, coach Steve Kerr was confident the All-Star is on his way back. Although it is incredibly early, there are still teams worthy of praise. The Denver Nuggets have always been potent offensively thanks to big man Nikola Jokic, but their defense has been the pick of the league so far. They have limited all three of their opponents thus far to less than 100 points, a hugely impressive feat when you realize one of those teams is Golden State, who are obviously stacked offensively. it’s even more impressive considering the fact that the early weeks of an NBA season are usually higher scoring than what follows. The Milwaukee Bucks have also been playing great basketball behind Giannis Antetokounmpo. The “Greek Freak”, as he is affectionately known, is rebounding at almost twice the rate he did last season, and he is scoring more, too. If Antetokounmpo keeps this form up, he could be on for his best season yet. Finally, the Toronto Raptors have been solid at both ends of the court, in part thanks to their moves in the offseason. The Raps were superb in the 2017-2018 regular season, so it comes as no surprise, but it still worth noting the ease with which they have put together their four-game winning streak. For now, they are outpacing the Boston Celtics, the clear favorites for the Eastern Conference title this season now that LeBron has left Cleveland. In the west, it will be interesting to see whether any teams can make life difficult for Golden State. The Rockets topped the regular season standings last season, but fell just short in the Western Conference Finals. One suspects it will be easier for Golden State this time as Houston have lost Trevor Ariza, their main three-point threat last year. The only thing for sure is that there is a lot of basketball to be played over the next eight months. And there will undoubtedly be plenty of twists and turns along the way. Ankur is a “third culture kid” - his parents are Punjabi, he was born in London, and he grew up in Singapore and Hong Kong. On campus, he's involved in Club Soccer and VITA (Volunteer Income Tax Associates), and is on the Varsity Golf team. His favorite sport to watch is soccer (fútbol) - He follows the Premier League and Champions League and supports Manchester United.